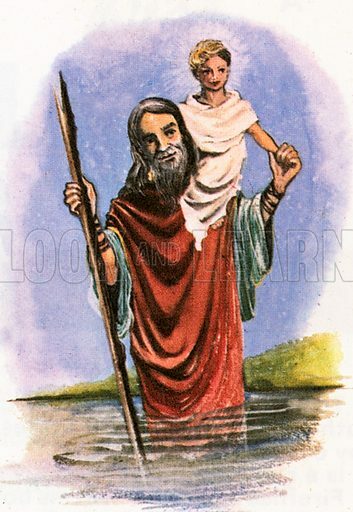 St Christopher was a giant whose job was carrying travelers across a river. One day, a small child asked to be carried across. When Christopher remarked how heavy he was, the boy identified himself as Jesus and explained that he was carrying the sins of the world. Available worldwide for immediate download up to 3,321 x 4,818 pixels.